To date she has coached many blue chip clients on leadership in the executive business world. 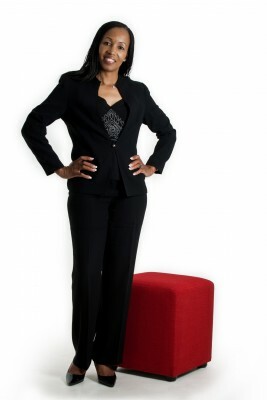 Meet BBQ’s charming new columnist, psychologist and leadership coach, Lindiwe Mkhondo. Having worked with clients such as Liberty Life, the Auditor General, the South African Reserve Bank, Multichoice, Old Mutual, The Council for Geoscience and Medscheme, talking to Mkhondo, it becomes clear that she combines her rich experience of work as a psychologist with the Middlesex University, coaching methodology with various assessment tools, to coach executive strengths and overcome weaknesses to become effective future leaders. Specialising in of leadership development, team building, change management, diversity and wellness programmes in various business settings, Black Business Quarterly Editor, Lindsay King, got Mkhondo talking on the couch about her passion to foster action and learning with a directed and intentional focus towards realising organisational results – and about leadership coaching 20 years into democracy. 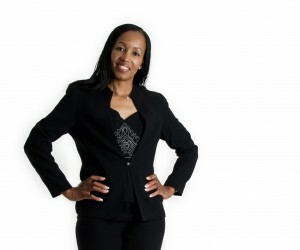 Mknondo is currently a director at Change Partners (South Africa’s foremost executive coaching practitioner). Prior to joining Change Partners she was director of her own company which specialises in psychotherapy, leadership development and employee wellness programs, believes that the need for transformation is highlighted in various pieces of legislation and international instruments. "These includes the Promotion of Equality and Prevention of Unfair Discrimination Act, Employment Equity Act, Domestic Violence Act, Maintenance Act, Sexual Offences Act and the Civil Union Act, Convention on the Elimination of All Forms of Discrimination Against Women, the Beijing Platform for Action, the Protocol to the African Charter on Human and People's Rights, the SADC Protocol on Gender and Development, as well as the African Union Gender Policy. “Today, more women are exercising leadership in politics and business. A recent survey by the Business Women's Association's (BWA) titled Women in Leadership, women make up only 41% of the working population. The survey says women constitute 14.7% of all executive managers and only 7.1% of all directors in the country. Of the more than 3,100 directorship positions held, women hold only 221 positions. There are 11 female chairs of boards out of a total of 364, and only seven female CEOs/MDs compared to 357 males. “Therefore if we look at our country, transformation is on the agenda and the roles that women are playing now in every aspect of South African life and business environment, it is gratifying, but it is not satisfying,” says Mknondo. In 2003 she gave up her full time job at the Trauma Clinic to run her own private practise, and she says she never looked back. With more than 12 years’ experience in one-on-one coaching, as well as group and team coaching in her quest to enhance personal mastery and greatness of leaders and alignment of teams, she uses a co-active coaching philosophy and systems approach. She says in the end it is all about getting people to be more resourceful in their personal and work lives, calling forth their capacities and strengths so that they can realise their optimal effectiveness and potential. And this all contributes to effective and competent leadership, which ultimately snowballs into an effective and happy work force, a sustainable business community and a strong economy for all South Africa’s people. Mknondo says leadership coaching is important for business, especially in transformation, as executive coaching provides confidential support for leaders, helping them reach their goals and make the changes they desire. “Executive coaching is an opportunity for self-development and can be especially useful for leaders who want to improve confidence or assertiveness, optimise energy while maintaining life balance, develop a new skill or approach in preparation for a change of role; improve interpersonal and communication skills, identify goals and values and enhance the use of experience and emotional intelligence,” she says. One concept that certainly is needed in democratic South African leadership and transformation is that of change management - the transitioning of individuals, teams, and organisation to a desired future state using designed steps, levels goals, and strategies, measurement systems and ultimately resulting in implementation and organisational change. She says research has shown that organisations that invest in human capital development (including leadership development) see a significant return in strategy, communication and indeed leadership development. “Formal leadership development programmes can increase leadership effectiveness; help increase the productivity, help focus on leadership issues and initiatives; improve personal management; encourage pre-emptive and innovative thinking and strategies, help combine the business knowledge, experience and clinical skills, and a lofty perspective of leadership and business; develop high intuition; promote high speed thinking combined with thoughtful consideration and clarity in communication; help with out of the box thinking and present the ability to translate into implementation high sensitivity and awareness of interpersonal dynamics, communication innuendos, and motivational factors,” she says. Reflecting on skills or aptitudes which should be transferred via leadership coaching in business, Mknondo says executive coaches ask probing questions rather than offering judgements. Coaching utilises a systematic methodology of enquiry that encourages executives or teams to answer questions candidly. The coach then seeks a solution through a rigorous process of self-discovery and awareness, goal setting and accountability, action learning and execution, and evaluation and revision. Referring to the recent turmoil in Parliament, among an array of other incidents, which have created the image that our democracy is in turmoil, when asked how stronger, more official and strategic leadership coaching can benefit our current and future leadership, Mknondo says coaching will help give leaders sense of purpose, courage, consistency, inspire trust and confidence. On the controversial topic of running a country like a business, Mknondo agrees that a country should be run like a business by constantly setting higher standards, solving problems rather than placing blame and by rehearsing the future as leaders see it. “Most business owners have in common an initial idea that will either fill a need or help consumers make their lives easier. Whatever that spark may be, for entrepreneurs, it ignites a business. Whether or not the idea turns into a successful business, depends on many variables ranging from maintaining accurate finances to providing excellent customer service. This is the same when running a government,” says Mknondo.